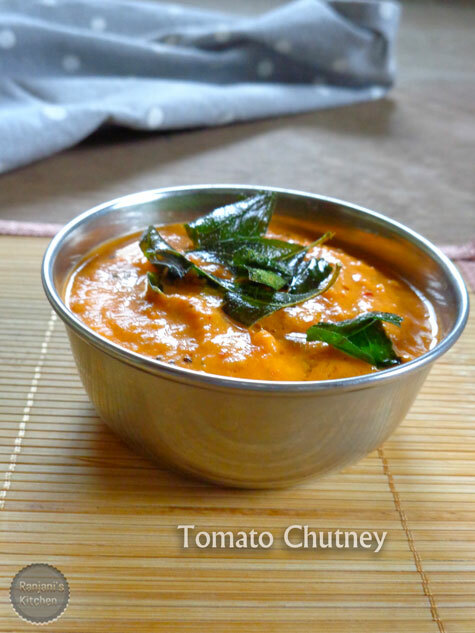 Curry leaves – 5 nos. Cut the onion and tomatoes roughly and keep aside. Heat a kadai, pour 1 tbsp of oil,firstly sauté the onions till it turns transparent. Then add tomatoes, sprinkle some salt over it, this is to easy cook the tomatoes. Keep the flame medium and sauté the tomatoes well till it becomes mashy.You can cook the tomatoes by closing the lid for sometime. But it will cook in oil itself if you keep stirring. Now add the red chillies, blend well for a min. Switch off and let it cool before grinding. 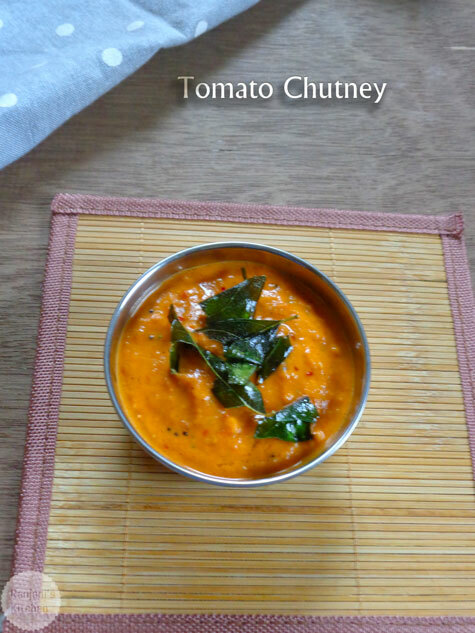 Now grind it to smooth texture.In another pan, pour 1 tsp of oil, temper with the items given under “to temper” and mix it with grinded chutney. Add required salt and mix well. 1.Add red chillies after sauting onion or tomatoes to avoid burnt.